Rates include use of dry sauna and a full breakfast, served from 8:15 to 9:15 each morning. We have a $10 cancellation fee per day, per room, if you cancel your reservation at any time. The full amount will be charged to your credit card if you decide to cancel within a week of your reservation. We are unable to offer and refunds for early departure or sudden cancellation. Check-in from 3-6 PM, check-out at 11 AM. Midnight check-in after 10pm requires a special arrengement. Please call or email us when you make a reservation. open from 9 AM to 10 PM. We accept one pet in Room #9 only, for a one $17.00 charge per stay, with prior approval. please observe our quiet time from 10 PM until 8 AM. Due to fire danger, we do not allow any burning materials in any room, such as candles, incense or any type of tobacco products. Should you choose to burn materials, there will be a $200 cleaning fee, plus damages, changed to your account. The entire Inn can be rented. Call us to inquire our group booking policy. Groups require a deposit of 25 percent upon reservation, 25 percent within 30 days of arrival, and the balance due upon arrival. A security deposit of $200.00 is also required and is refundable within two weeks of the departure of the group. 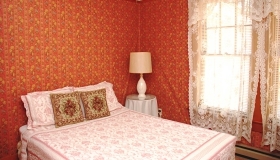 $240.00 per day with less than 7 rooms booked; $200.00 per day with a minimum of 7 rooms booked. KIVA rental available for in-house guests. Copyright 2019 Stoney brook Inn. All Rights Reserved.